Lightweight, dextrous, thermal gloves that are waterproof and breathable too. Perfect for those occasions and activities where dexterity is key but you also need dry hands. 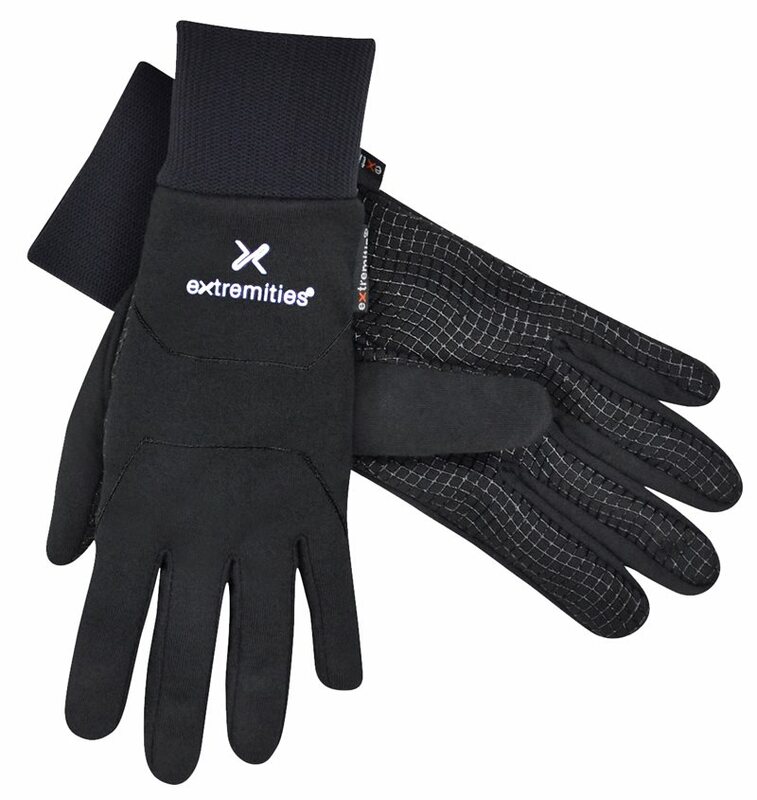 We have taken our popular Sticky Power Liner thermal gloves and added a waterproof, breathable membrane to provide a waterproof stretch glove. The main glove is a constructed from a warm and durable, quick drying stretch fabric with a soft to touch brushed lining. The sticky silicone print palm and fingers provide a secure grip and added dexterity and durability and theres a long stretch cuff gives a close fit to keep out draughts. Ideal for all year use.